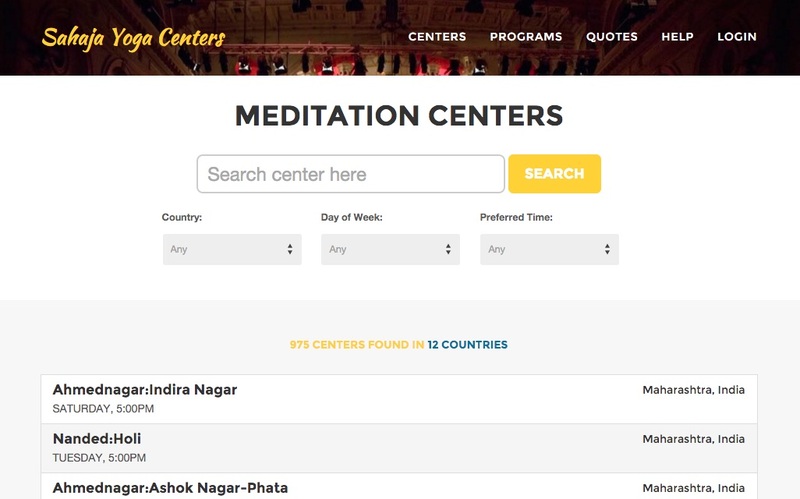 Quickly search for the nearest Sahaja Yoga Meditation Centers in India so that you may rejuvenate your life without wasting on precious moments to hunt for the right place. 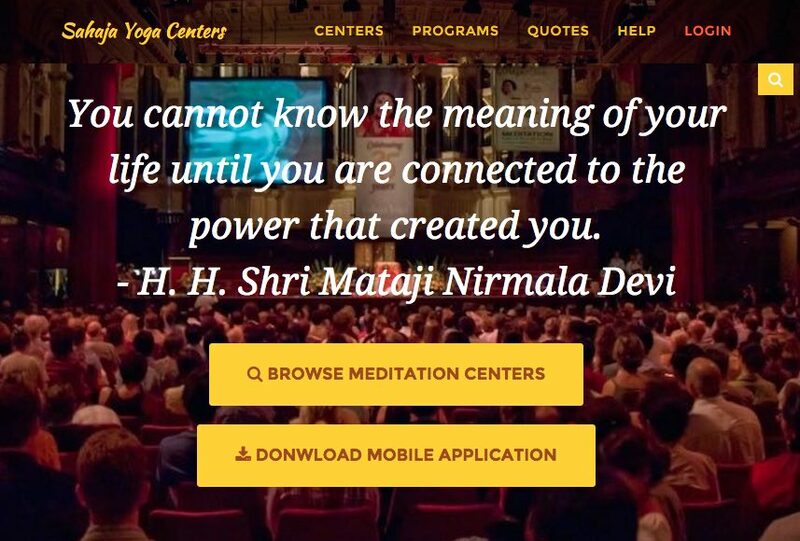 Website provide latest information about Sahaja Yoga Meditation centers, Public programs & Divine message. Search centers by Single Keyword. Add center reminder to Calendar. 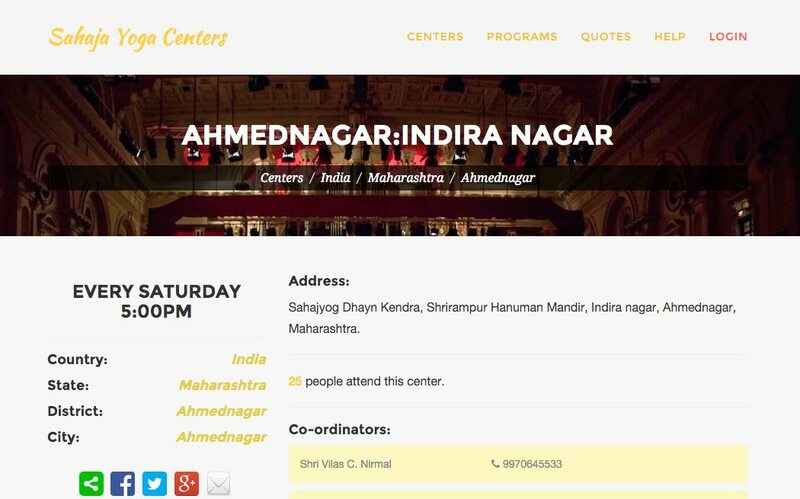 Add new center to Server Database. 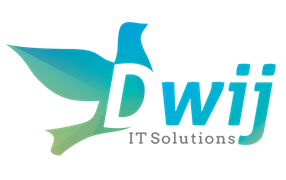 Edit/Update center information to Server Database. Save and Delete Center Lists for Offline Use. Share Center info by many Options like Mail, SMS. Add/Edit Public Programs near you.